Apple's iPhone 6s and 6s Plus will go up for preorders in just a few hours, at 12:01 a.m. Pacific, or 3:01 a.m. Eastern. 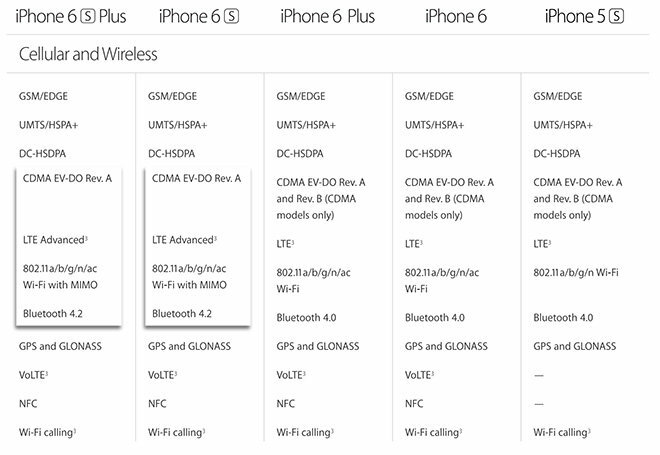 To help, AppleInsider has compiled a checklist so you can snag your phone of choice on launch day. As Apple notes on its website, iPhone 6s preorders start a minute after midnight Pacific time on Saturday, when the inevitable crush of shoppers is likely to clog servers around the world as people try to secure launch-day bragging rights. 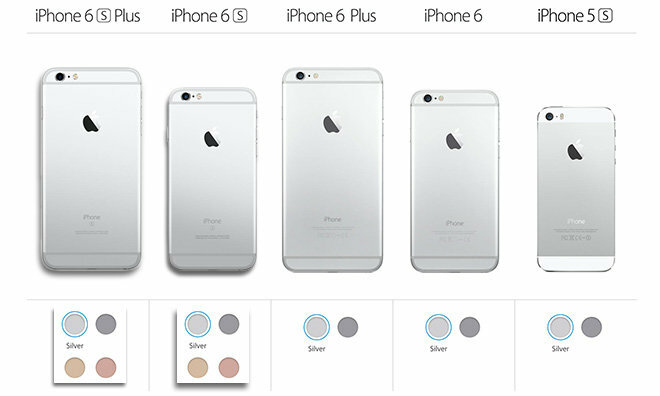 Which iPhone 6s is for you? The preorder process can't begin until you decide which phone you're willing to live with for the next 12 months or more. This year, Apple made things a bit more difficult by adding a new rose gold color option for both the 4.7-inch iPhone 6s and 5.5-inch iPhone 6s Plus. Silver, gold, and space gray colors are still available. Being "s" models, the iPhone 6s and 6s Plus are almost identical in shape, size and weight compared to Apple's 2014 iPhones, meaning those looking to get a new handset tomorrow will probably familiar with the design. The updated models are just slightly larger, with the iPhone 6s coming in 0.2 millimeters taller, 0.1mm wider, 0.2mm thicker and 14 grams heavier than the iPhone 6. The 6s Plus is 0.1mm taller, 0.1mm wider, 0.2mm thicker and 20 grams heavier than last year's 6 Plus. This may affect whether or not you can use an old case, though some should fit. As with every annual iPhone refresh, the 6s series is the recipient of a healthy boost in speed. Apple outfitted both phones with 64-bit A9 chips sporting a new internal architecture, which the company claims chews through CPU and graphics tasks a respective 70 percent and 90 percent faster than last year's A8 system-on-chip. Built into the A9 is a M9 motion coprocessor that powers, among other things, always-on "Hey Siri" activation for Siri voice commands. Screen sizes and resolutions have stayed the same, though the new iPhones include a "Retina flash" function for illuminating dark selfies. Cameras are greatly improved, since both 6s models come with a 12-megapixel rear units, capable of capturing 4K video at 30 frames per second. Once again, Apple is restricting optical image stabilization to the larger 6s Plus, though that device can now use the technology to smooth out video. The phones' front-facing FaceTime cameras have jumped to 5MP, up from 1.2MP on the iPhone 6. In addition, a new Live Photos feature captures full-resolution images in the seconds just before and after a user presses the shutter button, creating a simulated high-resolution video clip. Live Photos can be viewed with a 3D Touch gesture. Speaking of 3D Touch, the 6s series are Apple's first iPhones to incorporate pressure-sensitive input, based on Force Touch from the Apple Watch. The feature allows "peek and pop" UI interaction, handy for previewing email, photos and more with a light press, or diving into that content's host app with a firm press. The Taptic Engine, a powerful vibration mechanism, is part of the new system and provides users with haptic feedback sensations. In terms of wireless connectivity, Apple has added support for more LTE bands —now up to 23 —along with LTE Advanced, a nascent standard which should allow people on compatible networks to hit speeds up to 300 megabits per second. On Wi-Fi networks the phones should be up to twice as fast as before, 866Mbps, using 802.11ac with MIMO. Apple has also added support for Bluetooth 4.2, ensuring future accessory compatibility. Perhaps the biggest decision involves storage capacity. 16 gigabytes is the cheapest option, but with growing app and media sizes, only practical if you stream most music and video and don't expect to play more than a game or two. For many people, 64GB may be the sweet spot. 128GB is likely overkill, but the option to go for if you can afford it and absolutely have to have all your media, games and documents with you. Pricing has become a little more complex this year. While costs for a U.S. phone on a two-year contract are unaltered, starting at $199 for the 6s and $299 for the 6s Plus, carriers are increasingly pushing subscribers into lease programs. Based on a set of 24 installments, shoppers can expect to pay at least $27 a month for the 6s or $31 a month for the 6s Plus —on top of regular service fees. As usual, AT&T, Sprint, T-Mobile and Verizon are the only carrier choices for preorders at Apple's American website. Smaller companies like U.S. Cellular are offering preorders at their own sites. For some people, especially those who want to change carriers later, the best option may to buy a phone outright. In that case prices begin at $649 for the 6s and $749 for the 6s Plus. With one exception the company isn't yet offering carrier-free models, but any fully-paid device should be unlockable later by the host carrier. That exception is Apple's freshly-launched iPhone Upgrade Program, similar in concept to Sprint's iPhone Forever plan. The Apple deal offers an updated, unlocked iPhone every 12 months, covered by an AppleCare+ warranty. Costs range between $32 and $45 per month depending on hardware configuration. For those who don't plan on looking outside of the Apple bubble and demand the latest hardware every year, this may be the best option. For 2015, Apple has introduced a new tool for iPhone preorder preparation accessed via a link on the iPhone 6s product purchase page. In the U.S., buyers can check upgrade eligibility and handset pricing from AT&T, Verizon and Sprint by following this link and filling out the necessary information. You'll need your wireless number, billing ZIP code, and the last four digits of your Social Security number for AT&T and Verizon. Sprint customers need only their phone number and last four digits of their SSN or account PIN to continue. Once upgrade eligibility has been confirmed —or denied —Apple provides an option to save this information so you can avoid repeating the time-consuming process when preorders go live. 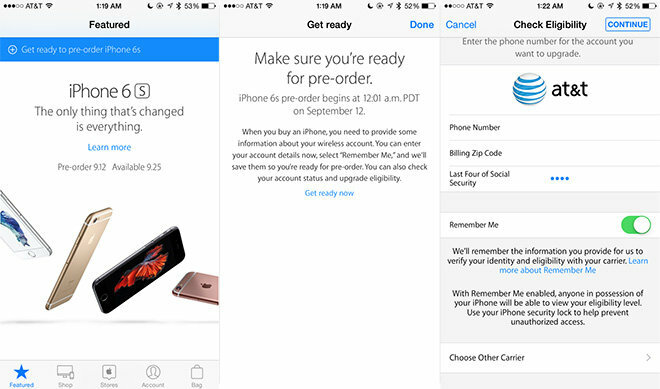 To log your eligibility data, first download the official Apple Store app and tap on the blue banner reading "Get ready to pre-order iPhone 6s." Select the "Get ready now" link, enter your carrier account information and toggle the "Remember Me" button on, then tap "Continue." The next page that pops up is the Apple Store's iPhone order page, but the 6s and 6s Plus will remain unavailable until 12:01 a.m. Pacific. If you set up "Remember Me" in the Apple Store app, navigate back to the iPhone purchase page, which should automatically retrieve your account information, and select your preferred size, color and capacity. Alternatively, orders will be accepted through Apple.com, though AT&T, Verizon and Sprint customers will need to enter in carrier account information to proceed. Once again: preorders for iPhone 6s and 6s Plus are slated to go live at 12:01 a.m. Pacific on Sept. 12. People who are quick on the draw should see their phones ship on Sept. 25, but delivery estimates could rapidly extend by days or weeks, so get your order in as soon as humanly possible. The best way of taking the edge off the cost of an iPhone is selling an old smartphone. Direct sales via eBay and Craigslist usually return the most money, but aren't guaranteed and carry a risk of being scammed. AppleInsider partner Gazelle is offering up to $395 for a used iPhone in perfect condition. The company offers a 30-day price lock for offers, which should enable people to pick up their new phone before having to mail in the old one. NextWorth is giving AppleInsider readers a $10 bonus for devices from the iPhone 5 on with the promo code INSIDER. Like Gazelle, trade-in values range up to $395. BuyBack World is offering as much as $400 for an iPhone, though its rates are more likely to fluctuate. Apple's own reuse and recycling program may be the most convenient option, available both online and at retail. The downside is that the company not only pays less than dedicated trade-in services, but exclusively in store credit. Amazon and Best Buy also pay only in store credit, but far more than Apple. Best Buy, for example, is giving as much as as $487 for a 16-gigabyte 6 Plus. Less lucrative alternatives include Walmart and Target.